How to Get Traffic to Your eBay Listings | Yenom Marketing Inc.
business, which is an online resale business, you need to become an Internet Marketer to get traffic to your eBay listings. 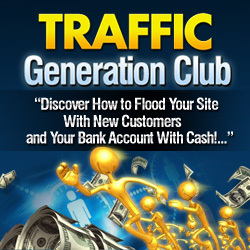 If you don’t know anything about Internet Marketing, now is a good time to learn. There are a plethora of networks and forums dedicated to this topic as well as articles up the wazoo that can enlighten you on all the do’s and don’ts of IM. However, since I have your attention, the basics include opening your mouth (via the internet) about your listings. One simple way to increase traffic is by always listing a link to your auctions in your signature line of all emails. Other methods include being an active participant in networks and forums – in which your posts will always have a link to your auctions. Creating blogs and individual websites will help with search engine optimization – which is vital to attract traffic. The sad news is if you build it, they will not come. You need to drive the traffic there; draw them a map and see that your billboard is visible by many. Take a proactive stance; don’t just wait for them to find you. Many eBay sellers have the mindset that they “just have a couple auctions up.” Many fail to believe that they have an eBay business and therefore do not treat their auction sales as a business. Changing that thought pattern will lead to business savvy actions. Place classified ads. Get a dedicated URL such as www.myauctions.com instead of http://search.ebay.com/_W0QQfgtpZ1QQfrppZ25QQsassZmyauctions. Create buttons and banners to strategically place within your target market. Just as Mom’s Taxi drives the kids around town, you too must drive traffic to your eBay business!